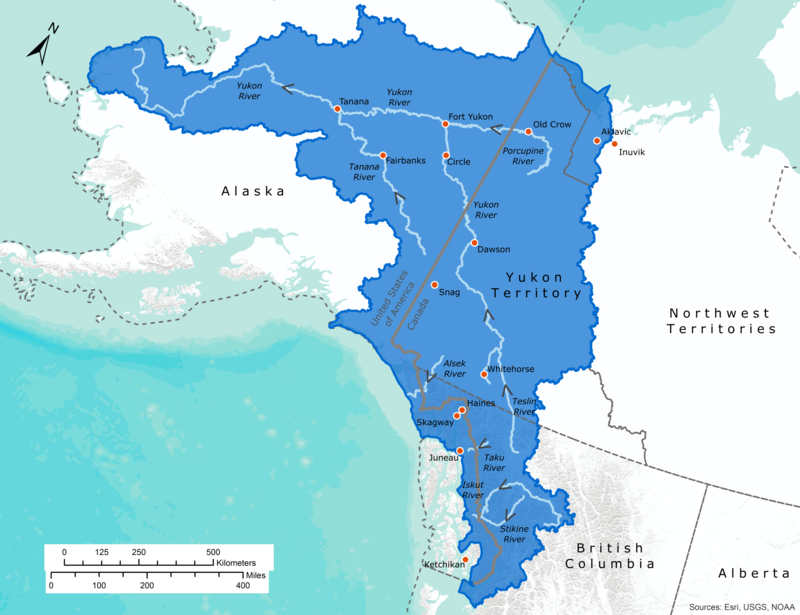 The longest river in Yukon and Alaska with a watershed that stretches as far south as British Columbia, the 3,190 km (1,980 mile) long Yukon River is a vital watercourse for indigenous communities, settlers, and industry. The river is among the most valuable salmon spawning habitat in its region and historically has been a major source of drinking water, though today faces water quality challenges and a reduced salmon run. Although governments have not issued any Orders or References to the Commission related to the Yukon watershed the IJC has undertaken some work related to its air quality responsibilities along the entire Canada-US boundary that included the region.